"Class TSeriesTypeIsoSurface not found", and the program is not working properly. The Tutorials can not be found, the link from my start folder points to the missing file "C:\Programme\Steema Software\TeeChart Standard 8 for Delphi 2007\Docs\TeeChartStdv8Manual.chm"
Reinstalling the software will not solve the problem. How to get a correct installation? TIsoSurfaceSeries is only included with TeeChart Pro v8 VCL. However, you should be able to run the demo. Tutorials issue has been solved in v8.03 installers. If you let us know which IDE are you using I'll send you release candidate installer for v8.03 so that you can check if both issues work fine for you. Thanks for the info. Just sent you the details to download the installer to your forums profile e-mail address. wurde in der DLL "Tee811.bpl" nicht gefunden. The Tutorials is still not found yet. Can you please try using Tee8New.exe I've uploaded here? Please let me know when you have downloaded the file as I'll remove it from our server. 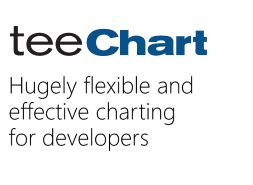 Regarding the tutorials, do you have TeeChart8Manual.chm at TeeChart's installation "Docs" folder? Last edited by Narcís on Thu Jul 31, 2008 2:35 pm, edited 1 time in total. this version of Tee8New.exe is running well, so I will replace the wrong version in my installation folder. In the Docs folder I found the TeeChart8Manual.chm (instead of TeeChartStdv8Manual.chm), so I changed the link to this file.